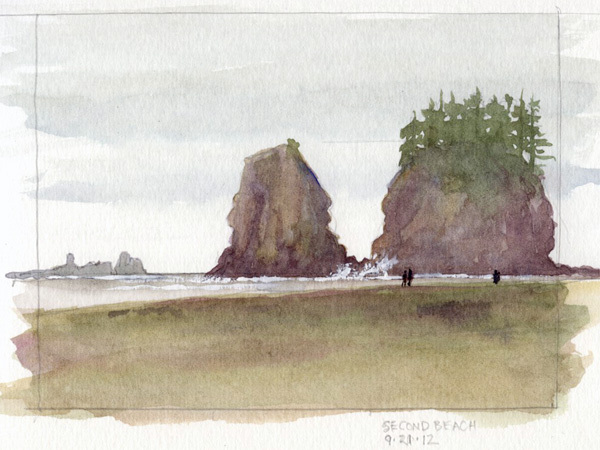 A few weekends ago my son and I camped on Second Beach, near La Push. A marine inversion shrouded the beach in fog and mist for the first 2 days, but then the weather cleared. I did this not-so-urban watercolor sketch of Crying Lady rock. 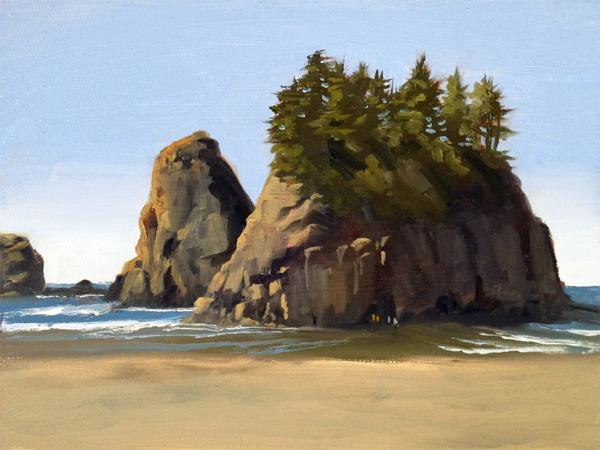 Then I did a plein air sketch in oils of the same landmark, from a different vantage point. The oil took about 1 hr. 45 minutes. I love the oils. You make me want to see La Push... now!